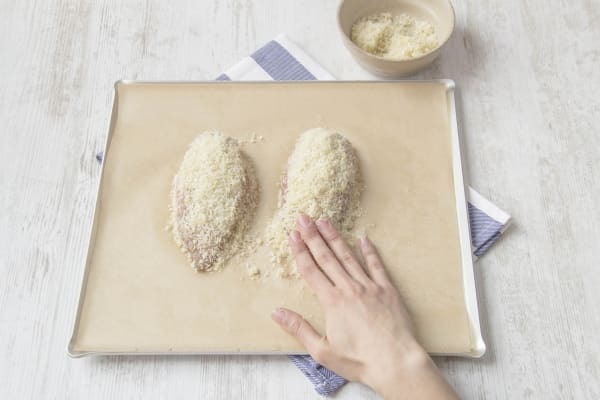 In a small bowl, combine the panko, Parmesan, 1 teaspoon olive oil, and a pinch of salt and pepper. While the chicken roasts, halve the tomatoes. Thinly slice the scallions, keeping the greens and whites separate. Mince or grate the garlic. 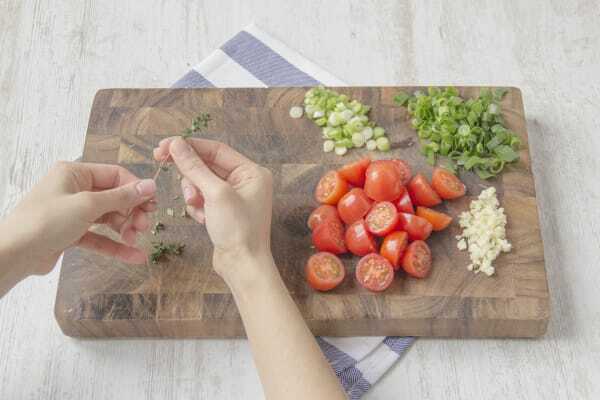 Remove the baking sheet from the oven and toss the tomatoes on one side with the scallion whites, garlic, and 1 teaspoonolive oil. Season with salt and pepper. 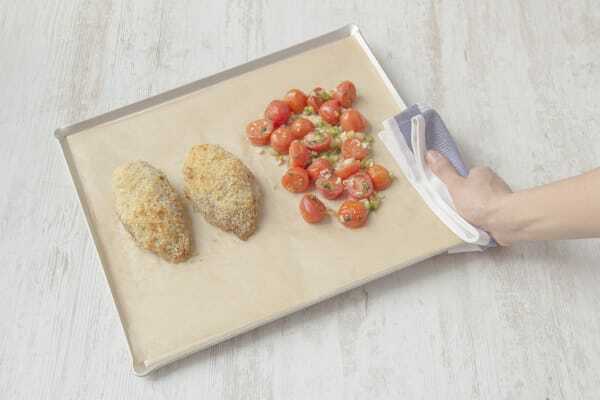 Return baking sheet to the oven for 7-8 minutes, until tomatoes burst and chicken finishes cooking. Once the potatoes are done, drain and place in a large bowl. Toss with the scallion greens, 1 tablespoon balsamic, 2 tablespoons olive oil, and a large pinch of salt and pepper. 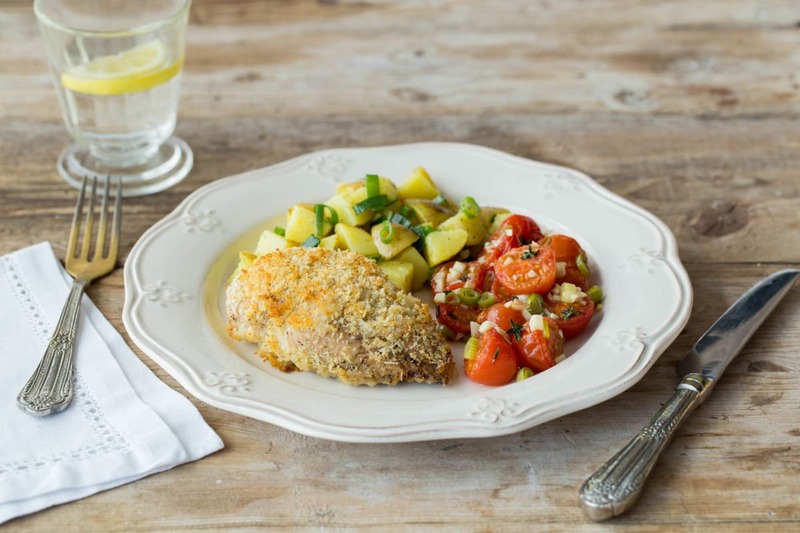 Serve the chicken and tomatoes with the balsamic potato salad on the side. Enjoy!